Seeing Blue Note and Verve teaming up for a major reissue project must impact long-time jazzhounds the way a Cold War Rip Van Winkle might react to waking up today to find Russia our ally. Throughout the 1950s and '60s, Blue Note and Verve were if not enemies, then certainly enthusiastic rivals. They competed to sign the hottest up-and-coming jazz stars, battled each other for jazz fans' loyalty (and cash), and always fought to have the upper hand as the hippest label. In those days of short-term recording contracts, many  perhaps most  of the major players in jazz recorded for both labels at one time or another. For the musician, it simply came down to who was offering you the best deal. And so in this age of the CD compilation, jazz fans have had a hard time getting truly comprehensive collections of their favorite artists. Each label wanted to be the one to issue the ultimate Chet Baker set, the supposedly complete Stan Getz box set. And so the music labels have been reluctant to cross-license recordings from their vaults to the competition  meaning you might have to buy two or even three "greatest hits" collections to actually own all the representative songs from any one artist's career. Rhino Records has been the only outfit really able to deal with the different labels, and even many of Rhino's compilations have gaping holes in them. All of which makes the new Verve/Blue Note Definitive Series such a welcome addition to the jazz scene. Deciding to cooperate instead of fight for a change, the two venerable jazz houses have issued a first round of 14 CDs each devoted to a particular artist  drawing on the recordings each artist made for both labels. Each label has released half the discs, although both the Blue Note and Verve logos appear on all 14. Actually, for once the corporate takeover of music works to the listener's benefit  for this collection draws on more than just Verve and Blue Note, but has access to the entire catalogue of Capitol and Universal. The once-independent Blue Note and Verve were long ago purchased by the major labels; Capitol in Blue Note's case, Universal/Vivendi in Verve's. And so while calling any of these single-disc collections complete might have been a stretch, "definitive" is pretty close to the mark. There were certainly other jazz labels on the scene then  the 1950s may have marked the creative peak of jazz, with small start-up labels often issuing the albums that later came to be regarded as the classics that influenced the entire world of jazz. Both Blue Note and Verve started out life as small start-up operations. But at least with these first 14 artists, enough of their most influential work was recorded for Blue Note and/or Verve that these compilations are absolutely solid one-disc overviews of their respective careers. Are there holes? A few, of course. Atlantic Records was a major player in jazz at the time, and their vaults weren't available for this series. The same holds true for Riverside, Prestige, Debut, Contemporary, all of whom were acquired by Fantasy (see our review this issue of their Original Jazz Classics Sampler series, which covers much the same ground as this series). Other songs a true fan might feel ought to be included ("Dis Here" or "Work Song" by Cannonball Adderley, for instance) may simply not have made the cut on a one-disc release due to differences of opinion between the true fan who bought the CD and the true fans who compiled it for Blue Note and Verve. And that's okay, for there aren't any glaring omissions, and none of the releases here lack at least a fair sampling of the artist's most memorable recordings. So if we don't get "Work Song" or "Dis Here" by Cannonball Adderley, we do get "Sack O' Woe," "Jive Samba" and the, well, definitive live version of "Mercy, Mercy, Mercy." That same rule holds true on the other releases in the series. For Chet Baker, we get his unforgettable version of "My Funny Valentine"  but not "Someone to Watch Over Me." Stan Getz  yes to "Girl From Ipanema," no to anything from his stint with Stan Kenton. What is perhaps most refreshing about this series is that the producers don't always follow the expected route. Nat "King" Cole, whether by design or by the limitations of what he recorded for Capitol and Verve, is shown more in his early role as pianist on his disc, rather than the suave saloon singer he later became famous as. Not that his singing isn't evident here, but his outstanding (if tragically forgotten) piano playing gets more of the spotlight than on most compilations of his material. What's also interesting is the differing emphasis between the seven Verve discs and the seven Blue Note discs. 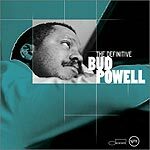 The Blue Note albums lean heavily toward keyboards: Bud Powell, Art Tatum and McCoy Tuner are, along with Oscar Peterson and Thelonious Monk, the most towering piano players of the modern jazz era. Jimmy Smith defined modern jazz organ, and Cole was, as mentioned, incredibly underrated as a pianist. The Verve discs lean toward horns and vocalists (although George Shearing is also included in the Verve stack). Sarah Vaughan sits alongside Ella Fitzgerald and Billie Holiday in most jazz pantheons, while Joe Williams revitalized the role of blues singer during his 1950s stint with the Count Basie Orchestra. Dinah Washington is not as well known as Holiday or Vaughan today, but if less beloved by jazz purists she possessed an immediacy and accessibility that extended her fan base far beyond jazz, much as Fitzgerald did. The albums are gorgeously produced and packaged. The sound quality throughout is as good as it can be given the age of some of the master tapes  there may be a bad track or two, but none that come to mind after two weeks of intense listening. Each CD features new liner notes that give a broad overview of the artist's biography, career highlights, and some background info on the recordings included on the disc. There is also track-by-track recording information  sidemen, recording dates, and what album the track originally appeared on. All indispensible information for the budding jazz buff looking to build a personal music library. None of these albums is a replacement for a full box-set retrospective on any of the artists represented here; each musician is simply too important to the history of jazz to be able to be summed up in 70 minutes of music. But every single of these releases is a stellar introduction to the artist in question  a representative if brief overview of their career and contributions to the music.